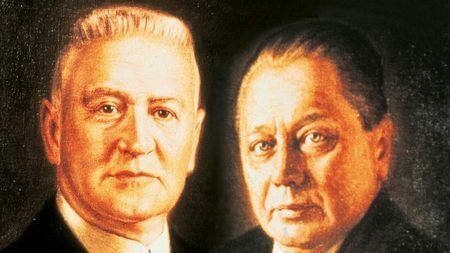 Two families have shaped the company for more than 100 years: the Miele and Zinkann families.In 1899, with four lathes and one drilling machine, the engineer Carl Miele and the businessman Reinhard Zinkann founded a company for the manufacture of cream separators in Herzebrock. Their guiding principle becomes the business philosophy: "Immer besser". For more than 100 years it has been a proven adage that you can trust Miele and rely on their appliances. Miele is the only manufacturer in our branch of industry to test products such as our washing machines, tumble dryers, dishwashers and ovens to the equivalent of 20 years' use. Once a Miele, always a Miele: Miele customers around the world remain loyal to Miele and recommend Miele to others. Looking to the future, Miele promises not to entertain any compromises when it comes to the dependability and durability of their appliances. Miele Crowned Which? 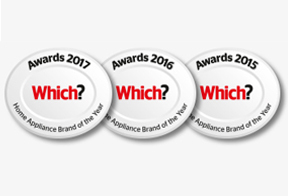 Home Appliance Brand of the Year 2017 For a third consecutive year, Miele has been crowned Home Appliance Brand of the Year at the prestigious Which? Awards. The awards celebrate and recognise businesses that have achieved positive change and deliver excellent products and services that score highly in Which? research and testing. Which? Magazine stated, “The majority of Miele’s home appliances are Best Buys and our research shows that it’s among the most reliable brands too.” It continued, “Miele is the standout domestic appliance manufacturer for the third year running. It makes a huge range of different home appliances, from washing machines to ovens, and more than half of the models that we’ve tested are Best Buys. Even more remarkably, that number goes up to 69% for models tested in the past year. 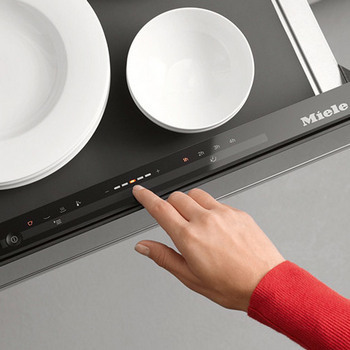 Miele produces the best dishwasher and washer-dryer that we’ve reviewed and also received the highest average customer score across all of its product categories. And our reliability analysis shows that its products won't let you down either. Continuous development and improvement are the basis of all business activities at Miele. That Miele has fared well with this strategy is demonstrated by numerous awards and honours, which in many cases have been awarded to Miele over the years. 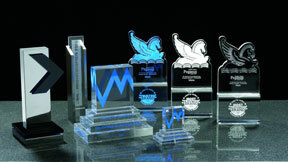 These awards are based on verifiable values or technical innovations. Miele customers enjoy preferential treatment: thanks to our fast and efficient after-sales service operation which has been voted best in its branch of industry many times over. Even if you need personalised instructions on appliance use or professional cleaning of your machines, Miele will gladly make a home visit. They are always there for you. That’s a promise! 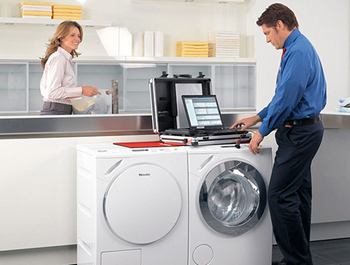 In many countries Miele is the most coveted brand in its branch of industry. On its own home market in Germany, Miele was even voted 'best brand ever', across all product branches. And the ownership of products from such a brand reveals much about its users: Miele customers have high expectations for the performance and the environmental friendliness of their domestic appliances. 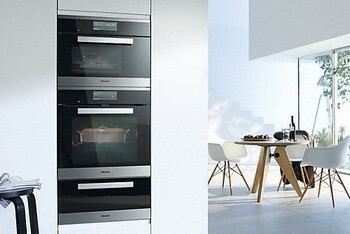 People who buy Miele are quality conscious and have style.